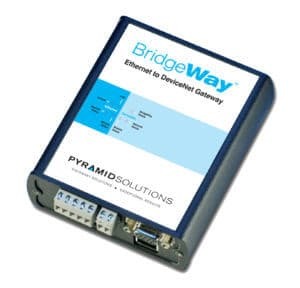 The BridgeWay™ Ethernet to DeviceNet™ Gateway (AB7603) seamlessly connects EtherNet/IP™ Scanners, and Modbus/TCP Master PLCs and HMIs to a DeviceNet Network. The AB7603 provides full DeviceNet Master (or Slave) functionality and can connect to 63 DeviceNet slave devices. 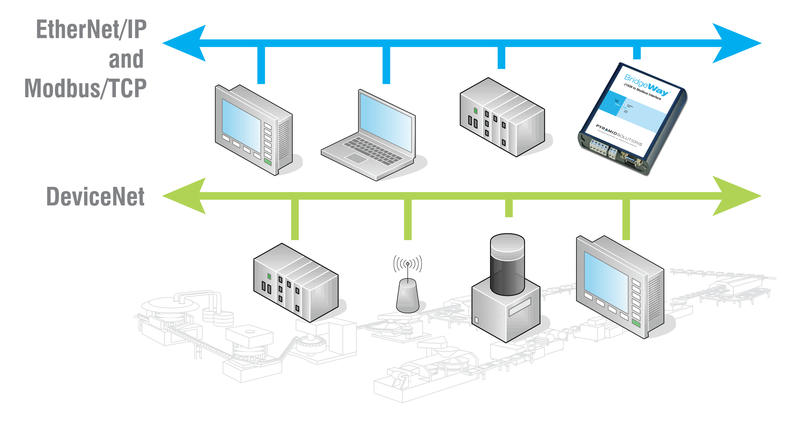 In addition to industrial automation protocols, the AB7603 supports IT protocols such as SMTP, FTP and HTTP. 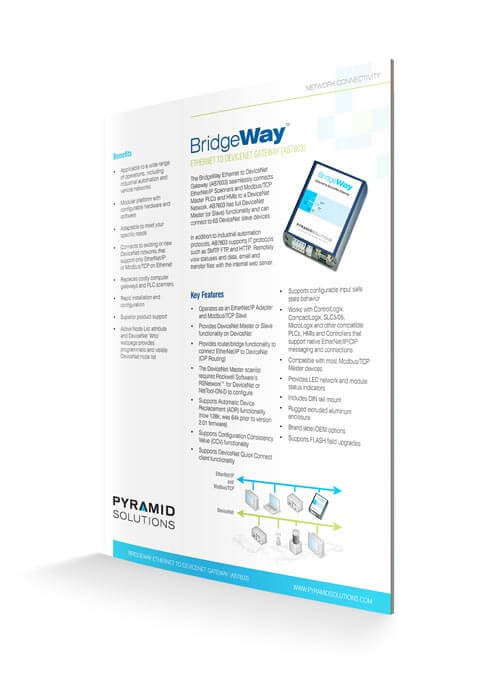 Remotely view statuses and data, and email and transfer files with the internal web server.